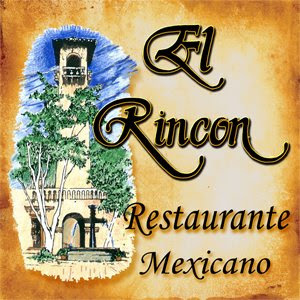 Sitting in the back area in Tlaquepaque Village in Sedona, AZ, is the El Rincon Restaurante Mexicano. Their food is a mixture of Arizona Style and traditional Mexican food. You will see how the Navajo/Hopi lifestyle is swayed in each meal. They are know for their delicious El Rincon Chimichangas which are wrapped in a sopapilla masa and stuffed with either beef, chicken or tiger shrimp. If you can find room in your tummy, they also offer dessert chimichangas with either chocolate, cherry or apple fillings. My favorite meal when I go there is the spinach cream cheese enchilada. OMG, it is so good! 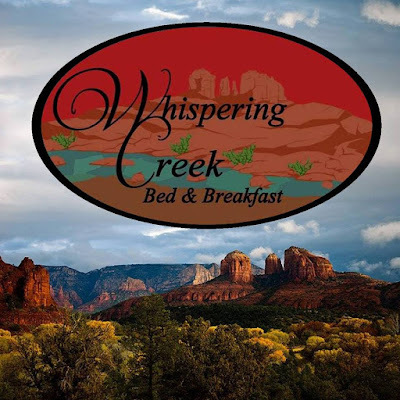 Tucked in the middle of Cottonwood and near Sedona, AZ, are several wineries and vineyards. I just recently took a girls trip to that area for wine tasting. We had a great time and even bought a bottle or two of our favorites. 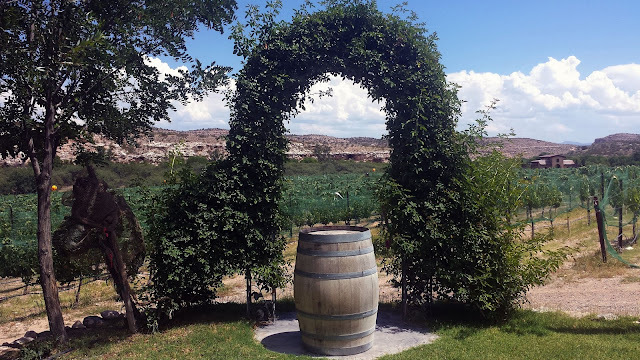 Even though there are numerous wineries in the area, these are the four we went to. As the waters of Lake Mead slowly evaporate, the ghost town of St. Thomas has been rising up. When the Hoover Dam was constructed in the 1930s, this once thriving Mormon establishment became abandoned and eventually submerged underwater. St. Thomas was instituted in 1865 by Mormon pioneers and their leader, Thomas Smith. At its most prosperous, the town topped at around 500 residents. 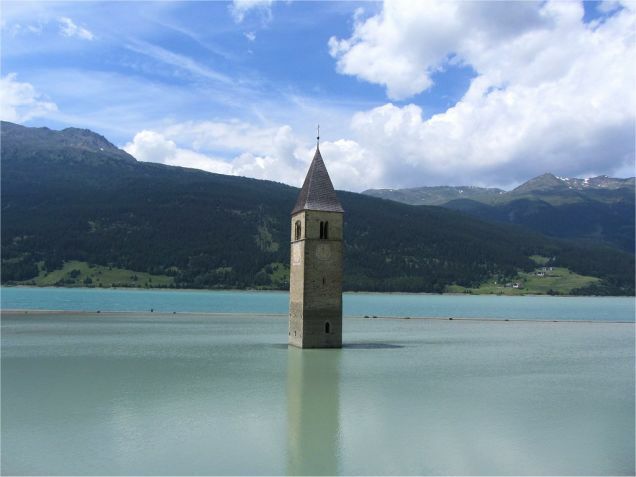 After the dam was built, the water levels were increasing and forcing the inhabitants to vacate their homes. The last hold-out left in June of 1938. Nowadays the ruins of St. Thomas are visible because of the drought and the ever decreasing water levels of Lake Mead. A town which was once under 60 feet of water is now a place where visitors can walk around the skeletal remains that are left of the settlement. St. Thomas is located in the northern part of the park of the Muddy River which flows to Lake Mead. 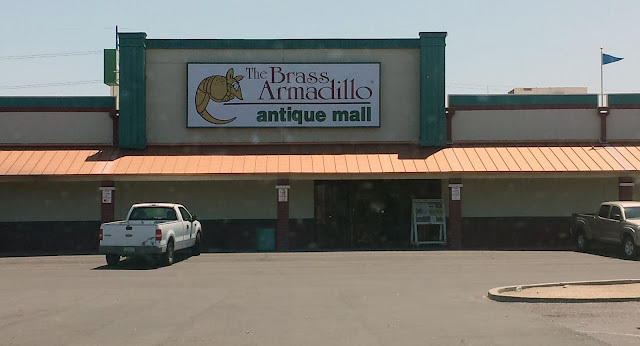 I have to tell you that I have shopped at the Brass Armadillo Antique Mall several times. I always felt like something wasn't quite right in some of the areas throughout the mall. I felt strange and got chills. I just thought something was wrong with me and that the dusty old items were messing with my allergies. I thought that until Sharon said she read that the place was haunted. Of course when she came over to my house, we had to check out the mall and do some shopping. 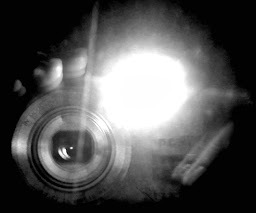 She did feel a strong presence in certain areas where I usually had weird sensations. At least this explained it. 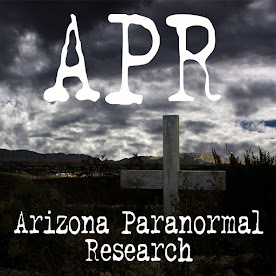 Some of the witnesses have reported cold spots, disembodied footsteps, objects moving and stopping on their own, and a strong feeling of being watched by unseen forces. We felt that too. Now I have two reasons to shop at the Brass Armadillo Antique Mall: the many items and ghosts that can be found under the roof where over 600 dealers sell their stuff. When you go to Goldfield Ghost Town and Mine located in the Superstition Mountains, they offer a train ride for a small fee. The conductor takes you around the entire town all while giving you the history of Goldfield and the mysterious Superstition Mountains. I did a post on Goldfield: click here. I took several pictures while on the ride. I love the old west town with the Superstition Mountains in the background. It simply looks gorgeous. I just recently took another day trip to the Superstition Mountains. Our first stop was at the Superstition Mountain Museum. I took more pictures of the outside, but this time we went inside the museum and I was able to take photos of the displays inside.